Yamaha has not announced any replacement for Roy however, during the interim period, Ravinder Singh, Sr. Vice President, Strategy & Planning at India Yamaha Motor will be taking charge. India Yamaha Motor’s Senior Vice President (sales & marketing), Roy Kurian has quit to pursue a new career. January 31st, 2019 was Roy’s last working day. The company has not got any replacement for him, however, during the interim period, Ravinder Singh, Sr. Vice President, Strategy & Planning at India Yamaha Motor will be taking the charge. Roy’s resignation comes after a 15-year long career at Indian Yamaha, which starting as him joining as a marketing manager for south India. He was soon promoted to Zonal Business Head-South in Jan 2007. Later, he rose to become Senior Vice President sales & marketing in January 2011. Under his leadership, the two-wheeler manufacturer doubled its domestic sales from 355,493 units in FY2012 to 792802 units in FY2018. Roy has also been instrumental in establishing the scooter segment and performance motorcycle segment. 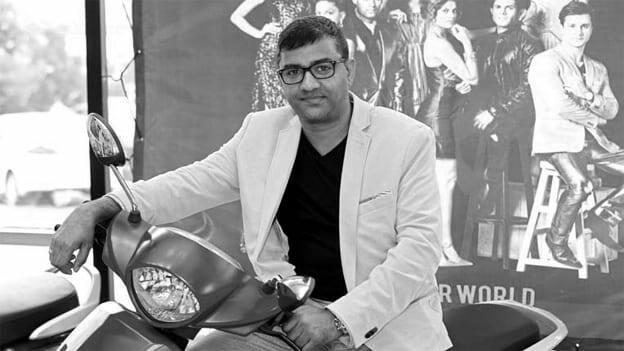 A Post Graduate Diploma in Marketing from Safia College, Bhopal, prior to Yamaha, Roy has worked with Funskool India and Godrej. Roy’s departure comes at a time given that Yamaha is only just ramping-up its motorcycle range in the country. It remains to be seen how his departure will affect the company’s momentum.